Do you have any personal data visualization work you'd like to share? We are starting back up again! 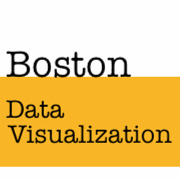 Boston has an amazing group of people who not only create beautiful data visualization work, but also push the entire field forward with their contribution to the open source and academic communities. This meetup will aim to bring those people and anyone interested in data visualization together, fostering a community, creating a space for learning, and exploring ways to build new partnerships and expand the disciplinary territory of data design and visualization. The meetup will host talks, hack days, workshops/tutorials, and personal work showcases. If you would like to speak at a monthly meetup please contact Siqi (siqi.zhu at gmail.com). Submit and vote for talks here!